quality of their design, public realm, transport and access to jobs and facilities - all the things we know people look for in somewhere to live. Our team has a wealth of experience sensitively developing sites within this area, providing much needed homes and practical improvements to the local infrastructure. We invest in the social, economic and environmental fabric of the places where we work, helping to support thriving communities. Berkeley has been ranked Britain’s most sustainable major house-builder for the last seven years in a row. 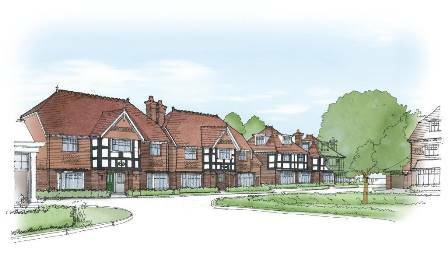 Included in the Ridgeway proposal are plans for 157 individually designed new homes, ranging from one bed apartments to five bedroom detached family homes. The houses will be set around attractive landscaped areas and will include 47 affordable homes. Once the proposed school is completed at the Ridgeway site, Claires Court will vacate the College Avenue and Ray Mill Road East sites. Berkeley Homes will then develop sensitively designed, landscaped developments which will have open green spaces and a range of high quality and affordable homes. 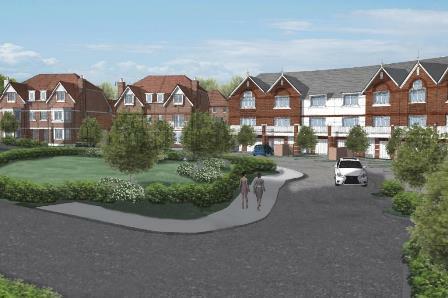 Eleven four and five bed detached family houses are proposed for the Ray Mill Road East site. All houses will include gardens, garages and additional car parking with an attractive landscaped area within the centre of the site. The College Avenue proposals include 53 homes ranging from one bed apartments to five bed houses. 19 of these homes will be affordable housing. There will be a large landscaped area at the corner of College Avenue and College Road with the homes forming a crescent around this space. “What do we mean by ‘Affordable Housing’?